Why You Just Might Need a Whole House Humidifier, or More! You are here: Home / Home Tips, Design & Improvement / Why You Just Might Need a Whole House Humidifier, or More! When Aprilaire asked me to participate in this sponsored campaign about air quality in our home, I didn’t think we would need much. Afterall, it is a brand new house! Boy was I wrong! When we did the final walk through for our house we got an explanation of what everything was and how some things worked. Of course everything is new and shiny. One of the things that we were told is that our home is a “tight house”. What is a Tight House? In short, a tight house is a home made to be energy efficient and “tight” meaning there are no cracks and crevices were heat and air can escape like in older homes. Think of this as “uncontrolled ventilation”, which is not what you want.. This can lead to higher energy bills. You want to be able to control your ventilation. Having air slip through cracks and seams in your house when it’s cold out can be uncomfortable and can cost you money. I remember having this issue in my old house. Although it was a new home built in 2006, I guess it was not “tight”. My kid’s rooms were at the front of the house. The rooms were always drafty in winter. My boy’s room was so bad that we had to use a space heater. Since we moved into our current home at the end of February, we have not made it through a full Chicago winter yet, but I strongly suspect that we will not have those issues. The rooms were good and warm when it was cold out. I’ve been reading that it’s a bit of a myth that a home needs to breathe. Breathing basically means what I described above… that there are leaks in the home causing air to get out (or in). But, people need to breath! And people need fresh air. We have fans in all 3 bathrooms that run constantly to circulate air and keep the bathrooms fresh. But is this enough? No, it’s not. 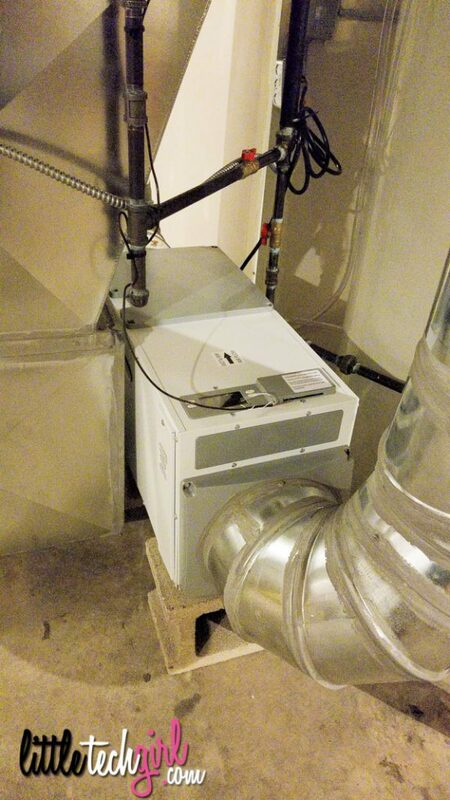 Why Did I Need an Upgraded HVAC System in a Brand New Home? One thing that we learned when we spoke to our HVAC rep (and that I had not thought about) is that in a newly built home, everything is new! The home is still settling. The materials used to built the home are still “off gassing” different chemicals. And there is still dust in various cracks and crevices of the home because of construction. All of this can cause problems with breathing. This is especially true for members of your family that may have allergies. There are only a couple of ways to help this issue, cleaning the home, cleaning the air, and bringing more fresh air into the home. 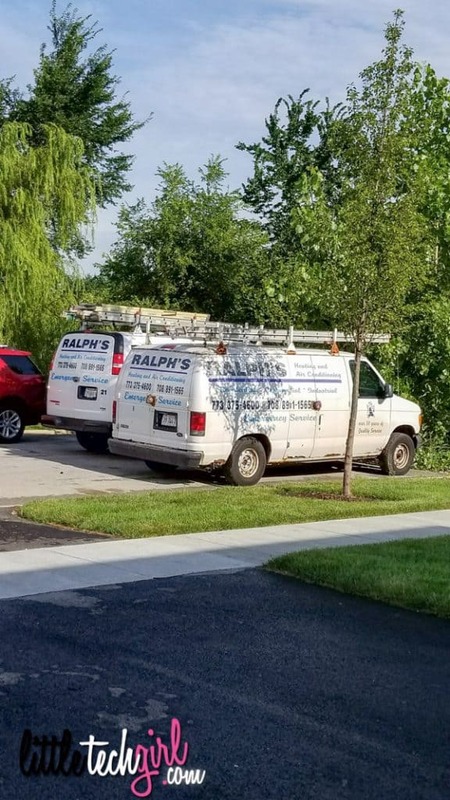 We got a couple of visits from John, of Ralph’s Heating and Air Conditioning, to access our home and see what we needed. He tested the air quality, inspected our existing furnace and air conditioner, and did a bunch of other fancy things that I don’t even understand. LOL! However, when he explained, everything that he said made perfect sense. He suggested adding several items to our new home to bring in more fresh air, clean the air, and overall provide more efficient airflow in our home. One of the things that we were told was that our HVAC system was good, but we did not have quite enough returns for the large size of our home. He was going to try to help that along during the install. 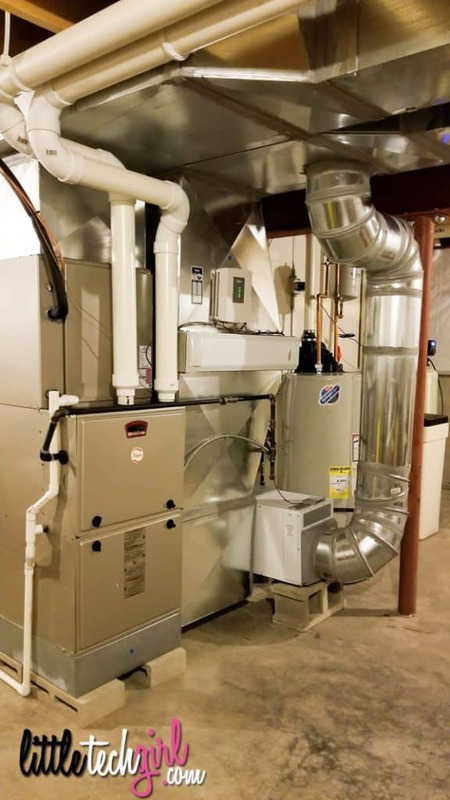 Think about it… Unless you are very knowledgeable in HVAC when you talk to a home builder, most of them are going to do the standard to each home model. 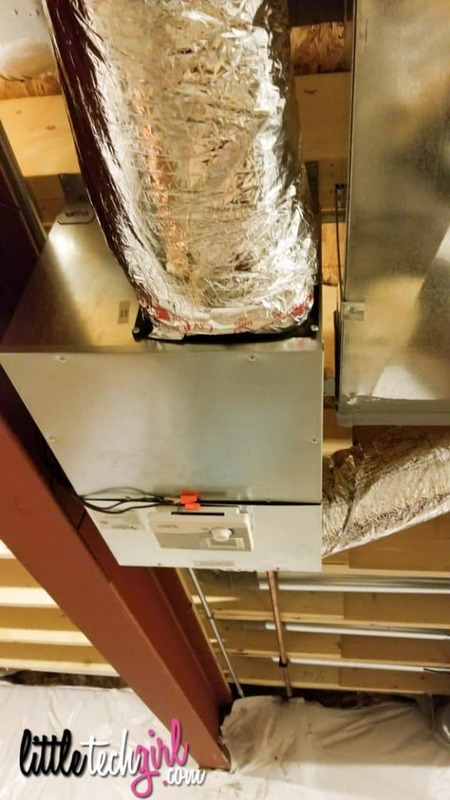 We were lucky in that our home builder had a bit of higher standards when it came to HVAC, but it still was not enough. We received a really nice furnace and air conditioner with a standard filter system, but that was it. Most builders do not go beyond that. That is the furnace on the left. Next to that is the water heater and water softener. Of course the air conditioner is outside. On install day John and his team showed up in 3 vans! They meant business. It took them only a few hours to get everything done. Below is what was added to our system, and the purpose of each. 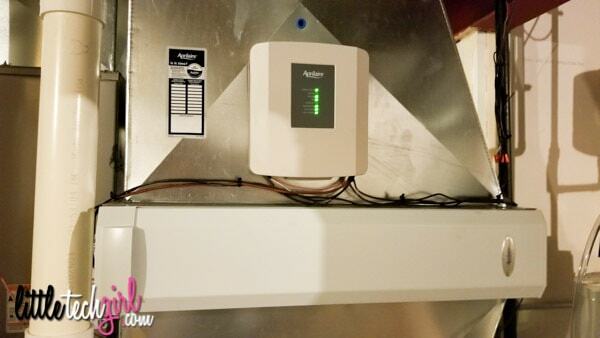 The Aprilaire Ventilation Control System is designed to bring fresh air into your home. This makes your family healthier and more comfortable. The fresh air intake valve pulls in air from outside and feeds it into your HVAC system. 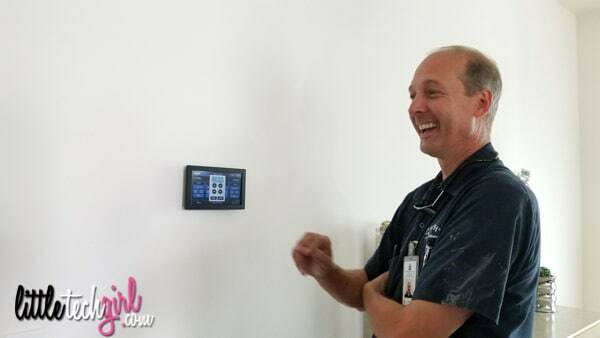 You are able to manage the quality of your air, and can easily turn the system off and on. It works with or without your Aprilaire thermostat to continuously monitor indoor and outdoor humidity to bring in the appropriate amount of air. It also makes sure that the air coming in is not too hot, too cold, or too humid. In order for this system to be installed a hole was drilled into the back of our house. No I did not faint. LOL! Yes, I was hesitant at first. But, once they were done, it looked like it was always there, and it matches the other vents in various areas around the home, which made me very happy. I was impressed. Humidity control is very important in a home. In fact, when we got our engineered hardwood floors installed, we were told to keep in humidity in the house between 45-55%. Just like humidity can wreak havoc on a smartphone, it can also wreak havoc on your home. Too much moisture can cause things like mold and mildew, strange basement smells, and mechanical problems. It can also cause moisture behind tiles, wallpaper, and in wood floors which can cause damage. The amount of humidity in your home is going to vary by season and by outside temperature. This will need to be adjusted up or down to keep it consistent. Your home will be more humid in the summer, as the temps and humidity rise outside. Warm air is more dense than cold air, so it holds more moisture. If you ever walk outside on a hot summer day and instantly feel a thick, wet feeling, that is humidity! That can get into your home and cause problems. Because of this, you will want to dehumidify your home in summer. The Aprilaire 1850 Dehumidifier is a high capacity solution that pulls air from every room in your home through the return ducts. It then removes the moisture and sends out dry air. It works along with your air conditioner to balance the humidity levels in your home. 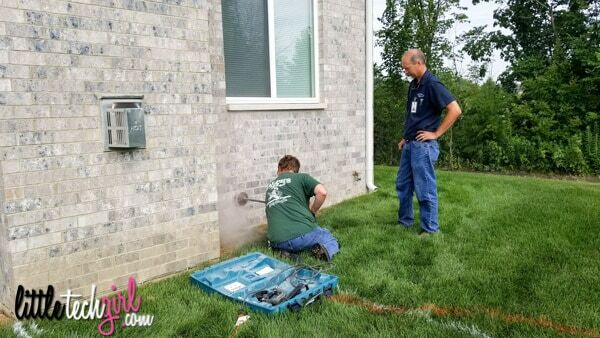 In the winter, you will have a different humidity problem in your home….dryness! Have you ever noticed that in the winter when the heat is on you may have a dry nose and throat or just generally feel more thirsty? This is because heat dries things out! You put your clothes in the dryer wet, they come out dry. This same concept happens in winter when you run the heat in your home. And just like too much moisture can cause damage, so can items being too dry and brittle. And your family may notice discomfort with breathing in the home, especially when sleeping. 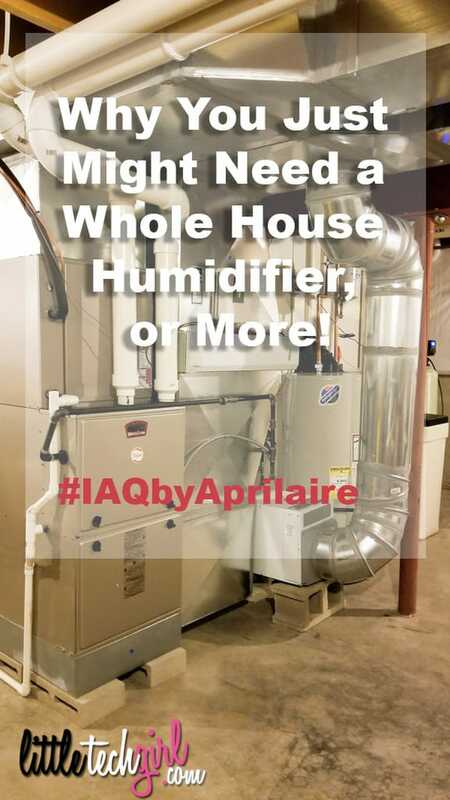 The Aprilaire Humidifier is specifically designed to humidify tightly constructed homes up to 4000 sq feet. It adds moisture to the air, which eliminates the dryness making the air more comfortable. It includes a simple bypass switch to change it from summer to winter mode, so that it performs correctly. 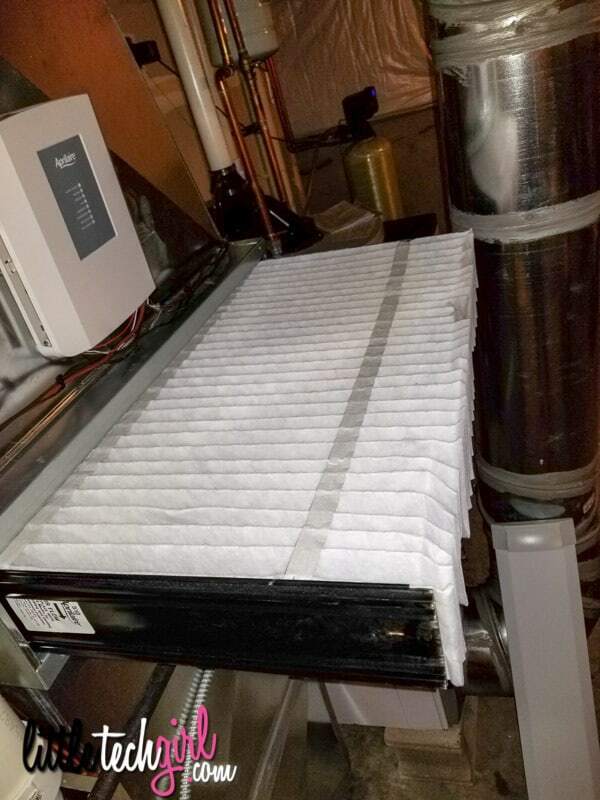 You are probably familiar with the filter on your furnace. It’s the little 1” flat $5 things that you pick up at the home improvement store. Well, these are fine for some homes. However, they are not all that efficient when to comes to cleaning the air. Our installers removed our little dinky filter unit and replaced it with a high efficiency air cleaner aka super filter! 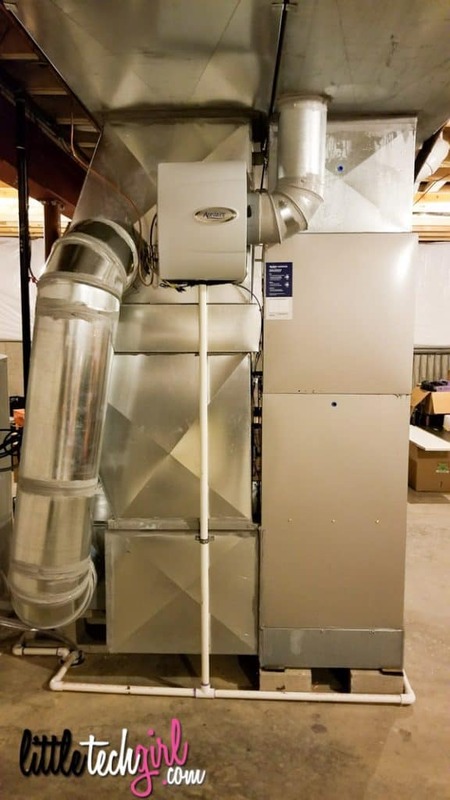 The Aprilaire High Efficiency Air Cleaner is a whole-house cleaning solution that removes 94% of pollen and mold, 72% of airborne bacteria and fungi, and 56% of dust particles. It also permanently traps indoor allergens that can lead to respiratory problems. This is awesome for those with asthma or allergies. A regular furnace filter does none of that. I had just purchased a Nest thermostat a few months ago. 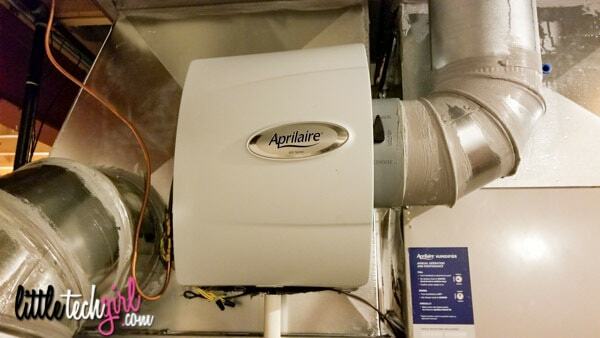 I was very hesitant to give it up for the Aprilaire 8920W. But, if I am being completely honest, I like the 8920W a lot better than my Nest! 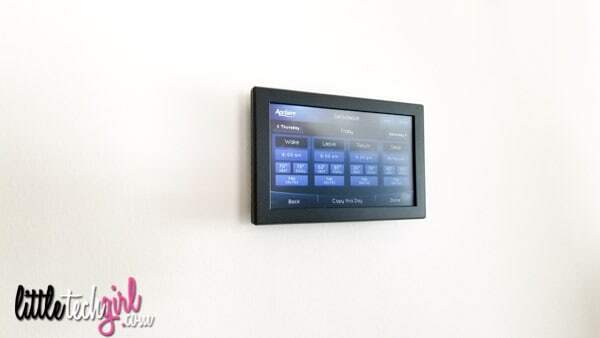 It is much more user friendly, the touchscreen is easy to use and understand, and of course it is integrated with every part of the system that was installed in my home. And, I am able to hook into it from my smartphone and monitor and change every aspect of our HVAC system whether I am home or away. The 8920W is the most comprehensive thermostat controller Aprilaire offers. It goes beyond simple temperature management and allows you to manager the humidity, air purity and air freshness control. I now call our system The Mothership. I go in the basement and I’m like “Wow!” Ralph’s did such a wonderful job installing everything that it looks like it was always there. The team was very professional, took their time, and cleaned up their mess! Do you have air quality problems in your home? 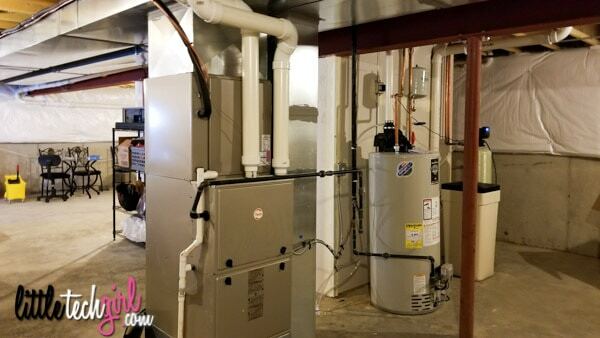 You may want to check with your HVAC rep and get your home accessed. Having cleaner air in your home will keep your family healthier and happier!